Main > O’Shea Jackson Jr.
Charlize Theron and Seth Rogen hit the red carpet at the premiere of Long Shot on Saturday night (March 9) at the Paramount Theatre in Austin, Texas. 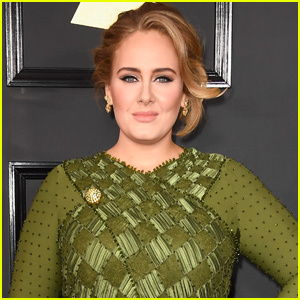 The 43-year-old Oscar-winning actress looked pretty in a multi-colored dress and sparkling, black booties while the 36-year-old actor sported a bright, blue outfit for the premiere held during the 2019 SXSW Festival. Also stepping out for the premiere were fellow co-stars O’Shea Jackson Jr. and June Diane Raphael along with her husband Paul Scheer. Long Shot hits theaters on May 3 – watch the trailer here! FYI: Charlize is wearing Louis Vuitton. Millie Bobby Brown & 'Godzilla: King of the Monsters' Cast Debut Trailer at Comic-Con - WATCH NOW! Gerard Butler is joined by girlfriend Morgan Brown at the premiere of his new movie Den of Thieves on Wednesday night (January 17) at the Regal LA Live Stadium in Los Angeles. The 48-year-old actor looked handsome in a navy suit as he shared a few sweet kisses with his girlfriend on the red carpet. Gerard co-star’s 50 Cent also attended the premiere along with his adorable 5-year-old son Sire Jackson! Other cast members at the premiere included O’Shea Jackson Jr, Dawn Oliveri, Pablo Schreiber, and Mo McRae. Den of Thieves hits theaters on January 19. FYI: Gerard is wearing a suit by Ermenegildo Zegna Couture. Gerard Butler Promotes 'Den of Thieves' on 'Despierta America'! 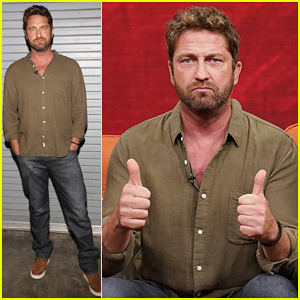 Gerard Butler is dapper as he poses for a photograph backstage on the set of Despierta America held at Univision Studios on Thursday morning (January 11) in Miami, Fla. 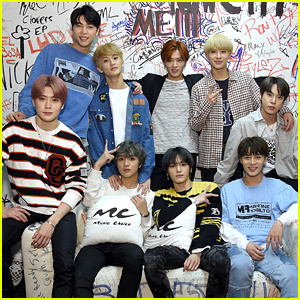 The 48-year-old actor was joined by his co-stars Curtis “50 Cent” Jackson, O’Shea Jackson Jr. and Pablo Schreiber on the Spanish language morning television show to promote their upcoming film Den of Thieves. 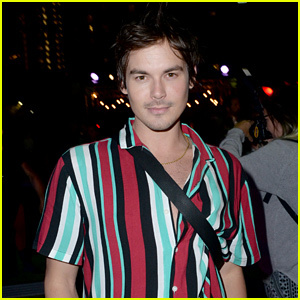 The evening before, Gerard and his cast mates surprised audience members at a special screening of Den of Thieves by showing up ahead of the screening to introduce the film. 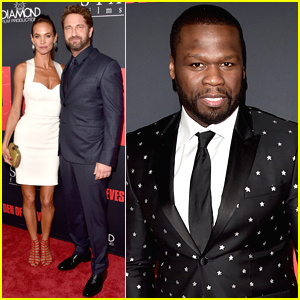 Gerard Butler & 50 Cent Team Up in Miami for 'The Den of Thieves' Special Screening! Gerard Butler keeps it cool and casual as he joins his cast mates at their special screening of their latest film The Den of Thieves held at Regal South Beach on Wednesday (January 10) in Miami, Fla. 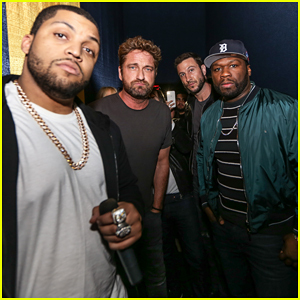 The 48-year-old actor and his co-stars Curtis “50 Cent” Jackson, O’Shea Jackson Jr. and Pablo Schreiber surprised audience members by showing up ahead of the screening to introduce the film, which hits theaters on January 19. That same day, Gerard took to his Twitter to share a video from his Snapchat where he and 50 Cent are seen playfully arguing about over who is “cooler” while embracing one of the filters on the social media app. “So who’s the coolest?,” Gerard says in the clip – Watch below! 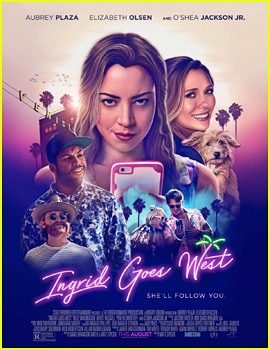 Aubrey Plaza Is Obsessed With Elizabeth Olsen In 'Ingrid Goes West' Trailer - Watch Here! Aubrey Plaza becomes totally obsessed with Elizabeth Olsen in the first official trailer for their upcoming film Ingrid Goes West! Synopsis: Ingrid Thorburn (Plaza) is an unhinged social media stalker with a history of confusing “likes” for meaningful relationships. Taylor Sloane (Olsen) is an Instagram-famous “influencer” whose perfectly curated, boho-chic lifestyle becomes Ingrid’s latest obsession. 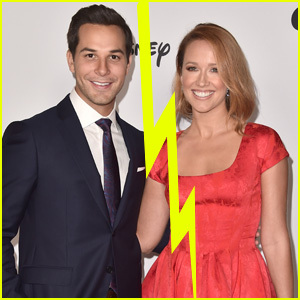 When Ingrid moves to LA and manages to insinuate herself into the social media star’s life, their relationship quickly goes from #BFF to #WTF. The film, which is set to hit theaters on August 11, also stars Oshea Jackson Jr. and Billy Magnussen.